On a beautiful day in our home town, Saturday, June 28th, 2003, at its annual arts and crafts fair held on the grounds of the former School No. 1, the Oceanside Chamber of Commerce kicked off a new program to name a local business of the month and declaring June to be " month in Oceanside." 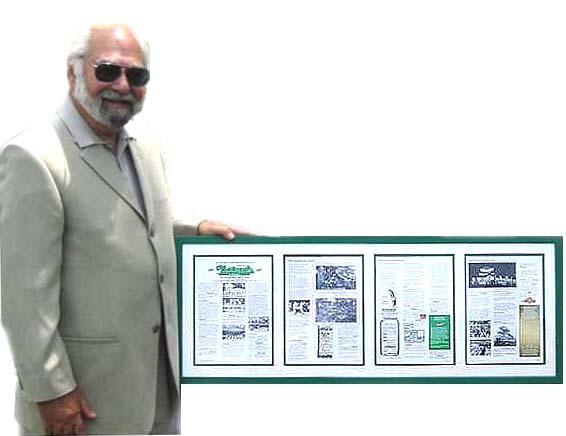 In the brief ceremony held shortly after noon, on behalf of the Class of 1960, I presented* to , a beautifully framed, specially adapted, print version (illustrated below) of our own web page entitled "A Tribute to and Brief History of in Oceanside, New York." On Tuesday, July 1, 2003, corporate Director of Operations, Bruce Miller, accepted the tribute award on behalf of corporate management. It is now hanging permanently in the newly renovated in our little town, thus immortalizing our class. The item is inscribed as illustrated at the right. So, the next time you visit Oceanside, look for this item hanging in , and naming our class as its source. And don't forget to tell me if your e-dress changes ― PLEASE! Oceanside Chamber of Commerce Newsletter. 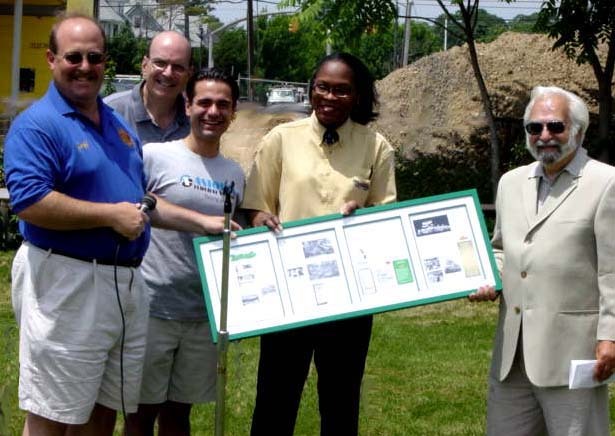 Click here to hear what I said when making the presentation June 28, 2003, to Nathan's Oceanside on behalf of the Class of 1960. Oceanside Chamber of Commerce, Beverly Hollis, the Nathan's store manager, and me. 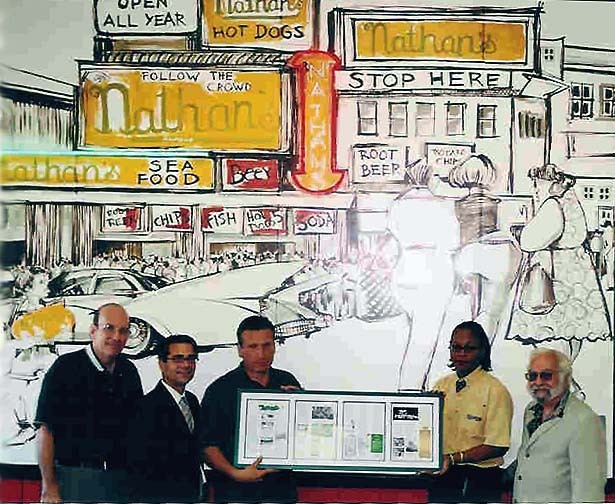 of Company-Owned Restaurant Operations of Nathan's Famous, and Oceanside store manager, Beverly Hollis. Click here for the coverage of the event in the Oceanside Chamber of Commerce Newsletter. Copyright © 2003- 2006 by Howard B. 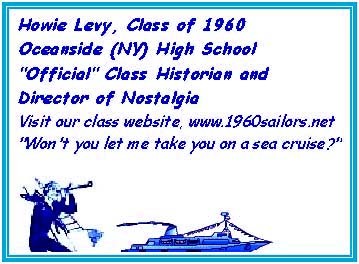 Levy and 1960 Sailors Association Inc. All rights reserved.